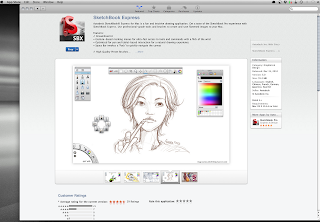 So if it isn't pretty obvious already, one of my favorite software is Autodesk Sketchbook Pro. 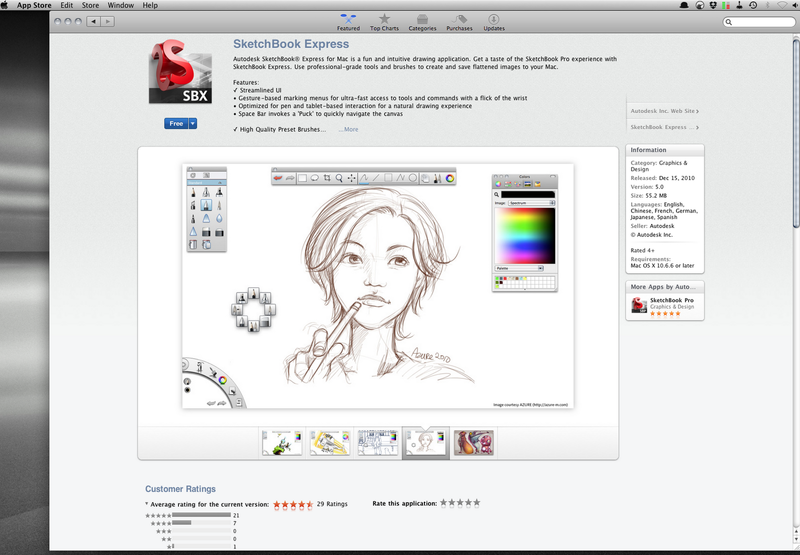 Its like drawing on paper, and has no fancy features that you never use. You get what you draw. 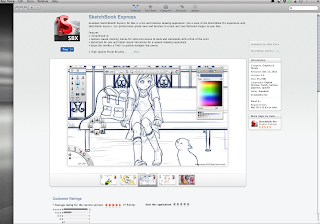 Some of my sketches will be appearing in the Mac App Store it seems. 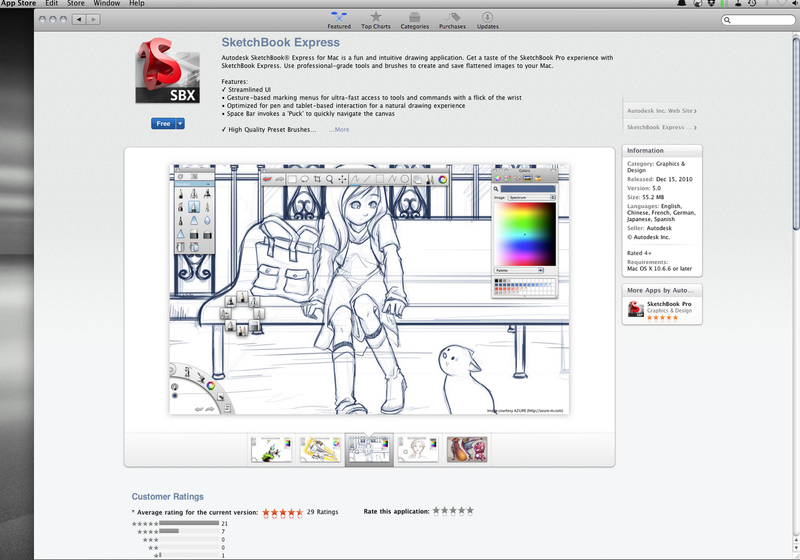 Since I didn't have access to a SnowLeopard mac and was not able to see the MacApp Store, my Flickr friend Demian from Dorkboy Comics (http://www.dorkboycomics.com/ ) has kindly taken a screenshot for me!